72 Steel drawer cabinets for parts storage. 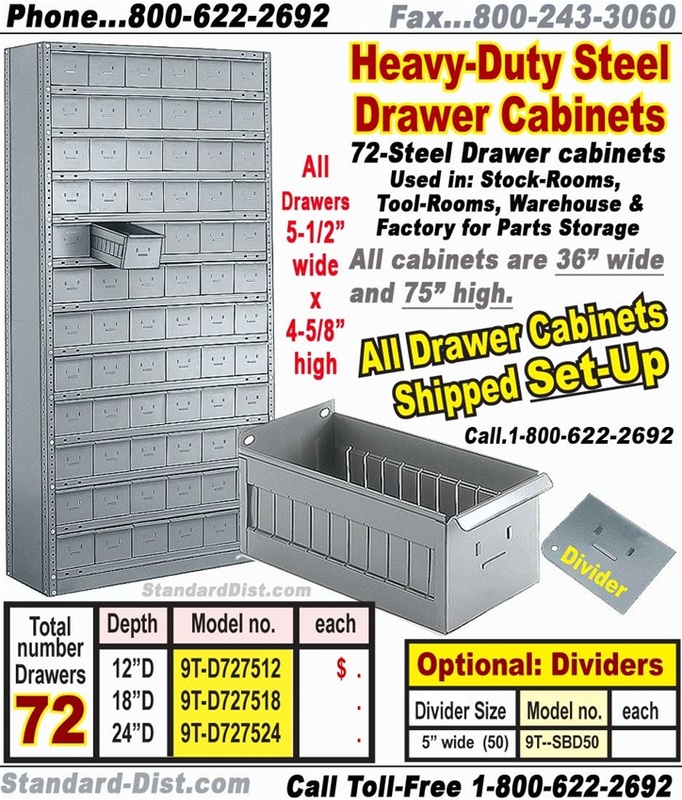 72-DRAWER STEEL CABINET, nut & bolt construction. Shipped set-up. Standard COLOR: GRAY... Optional colors: Putty, Blue, Red & Black. StandardShelving.com is the #1 supplier of steel shelving nationwide.